Over the past 12 months, the LA Clippers have increasingly focused on clearing cap space, with the team facilitating the departures of Tobias Harris, DeAndre Jordan, and Blake Griffin. The Clippers have enough salary cap space for two maximum free agents and plan to court free agents such as Kevin Durant, Kawhi Leonard, and perhaps even Kyrie Irving. 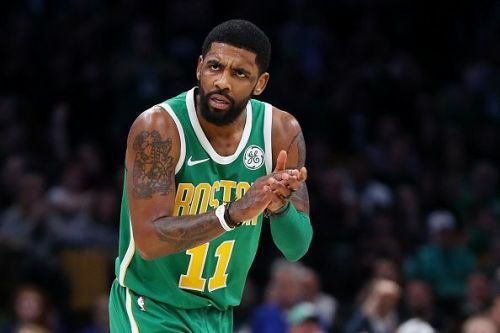 Irving is among the NBA's best point guards and since his move from the Cleveland Cavaliers to the Boston Celtics back in 2017, he has established himself as the Celtics' main man. Nevertheless, Irving is expected to opt out of his contract this summer in order to test his value on the free agent market. Heading into the 2018/19 season, Irving looked likely to extend his stay in Boston, even telling Celtics fans at a rally that he would be signing an extension. Nevertheless, the point guard has changed his stance as the season has progressed, most recently stating that a decision on his future will be based on what is best for himself. Most signs point towards Irving exiting the Celtics, however, the Clippers will still find it extremely difficult to attract the All-Star. as the Lakers are also expected to move for the 27-year-old, as they seek to reunite him with LeBron James. Irving and the Celtics will tonight take on the Philadelphia 76ers in a huge matchup at the top of the East. Meanwhile, the in-form Clippers will next face the struggling Cleveland Cavaliers.